The long-lost eighth and final novel in the multiple Shamus and Edgar Award nominated Bragg series. A psychic Peter Bragg once saved from suicide has seen her future… death at the hands of a serial killer… and turns to Bragg to save her life again. 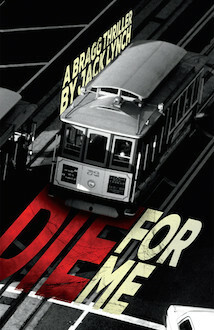 As one corpse after another is unearthed in the woods of Jack London State Park, Bragg teams up with a Sheriff’s detective in a race against time, and perhaps fate, to hunt down a killer stalking the nightmare landscape of the psychic’s visions and the dark, deadly streets of San Francisco. Bragg is authentic, gripping, gritty.